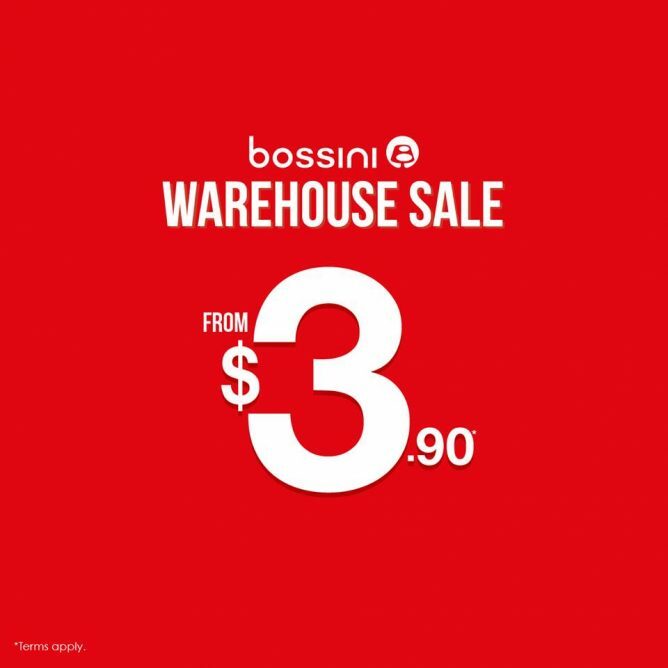 Home > Fashion > Bossini: Warehouse Sale with Bargains from Just $3.90! 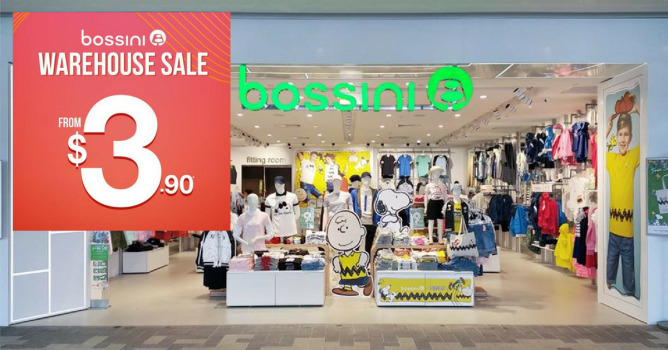 29 Nov - 9 Dec 2018 Bossini: Warehouse Sale with Bargains from Just $3.90! Bossini's warehouse sale is here with bargains from just $3.90! Sale starts from 29 November to 9 December 2018. Conditions: No exchange and refund. Terms apply. Next: Bata: Friends & Family Sale with 30% OFF In Stores & Online!